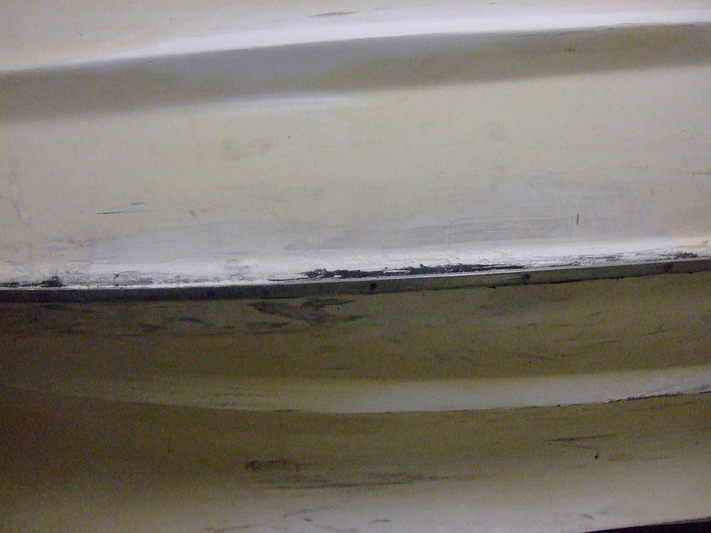 THIS KEEL IRON WAS IN A POOR STATE AS WAS THE REST OF THE HULL WHICH WAS TAKING IN A LOAD OF WATER AS A RESULT OF AN ACCIDENT IN THE SEVERN ESTUARY! 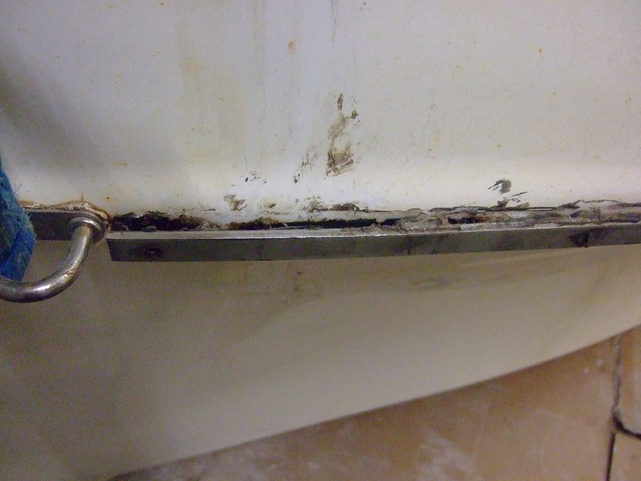 IT WAS CERTAINLY SHOWING SIGNS OF WEAR AND TEAR ! 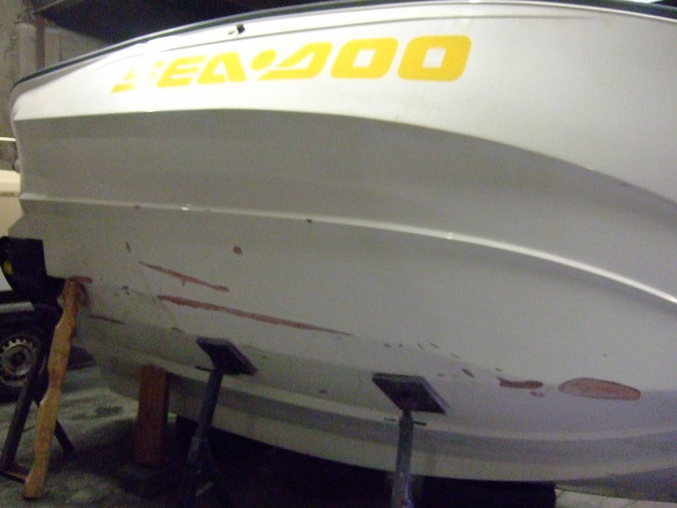 VARIOUS REPAIRS HAD BEEN ATTEMPTED BY PREVIOUS OWNERS WHICH ONLY CAME TO LIGHT WHEN THE CURRENT OWNER HIT A LOG AT SEA AND BROUGHT THE BOAT INTO OUR YARD FOR URGENT REPAIRS ! 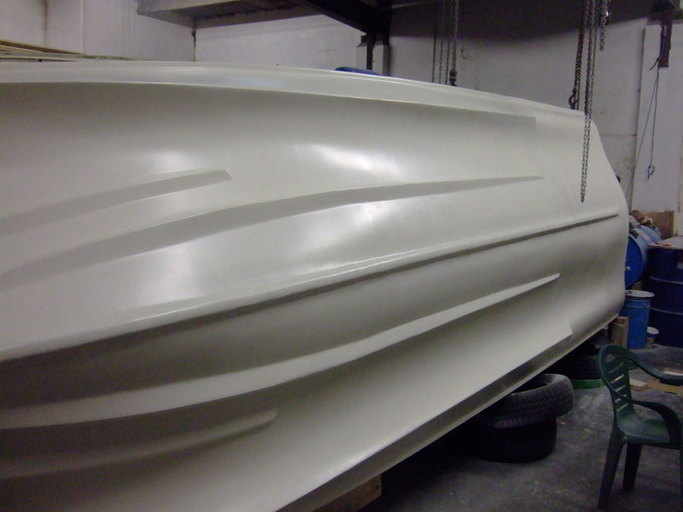 WE UNDERTOOK EXTENSIVE WORKS TO HIS HULL WITH PRETTY GOOD RESULTS ! 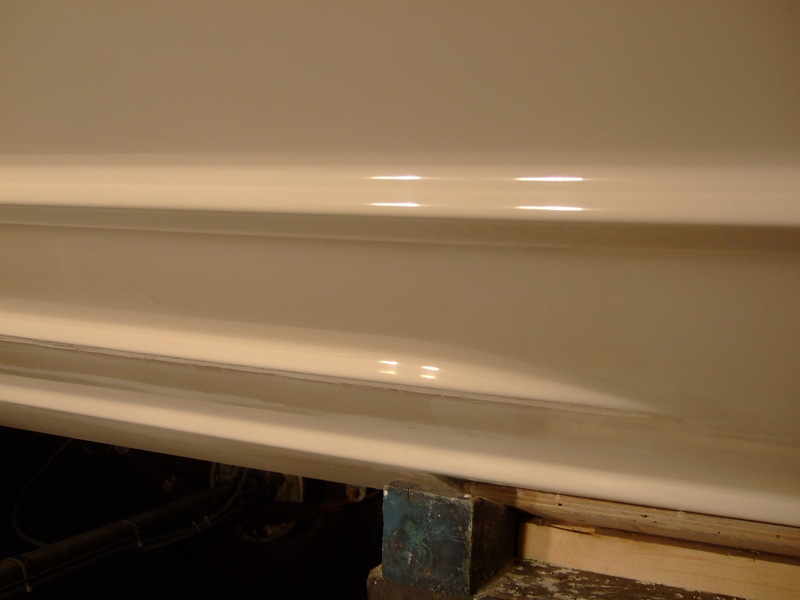 THE CUSTOMER WAS EXTREMELY PLEASED WITH THE END RESULT ! 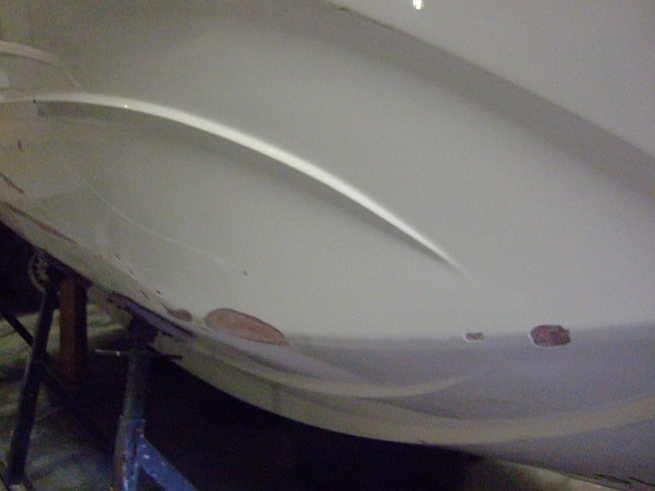 A SEEDOO SPORTSTER WITH HULL DAMAGE. 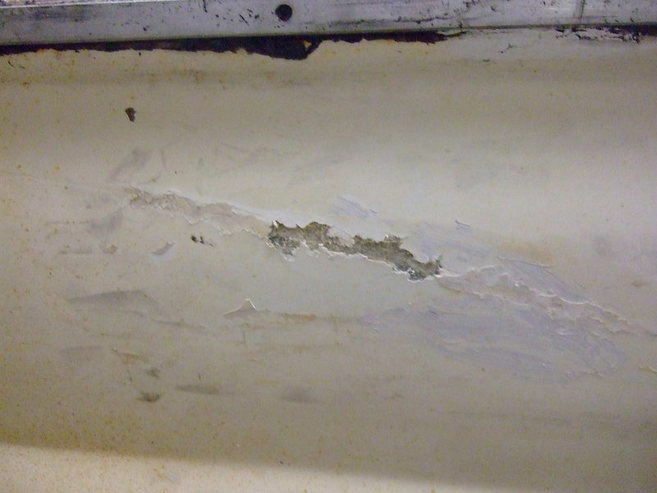 The hull had numerous abrasions/gouges and cracks due to hitting rocks. As you can see, there are lots of scrapes etc! 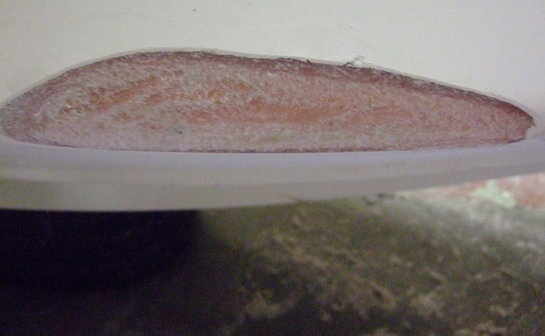 A close up of a gouge showing the glassfibre . to ensure that the match was a good one! 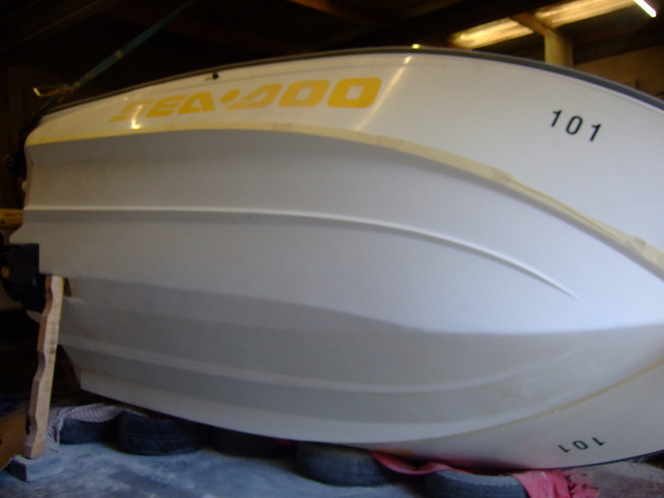 After completion of gell repairs, the Hull was polished and returned to it's trailer and owner who was extremely pleased with the works undertaken!